Motorhome dealers Hampshire UK based that operate as a professional business typically have a large number of vehicles on their books for you to choose from. This is in contrast to buying one from a private individual, in person or through an online auction site, for instance. If you do the latter, you may end up compromising on some of your desirable features to get a good deal. 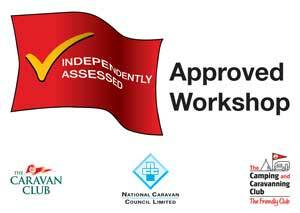 The advantage of buying from, for instance, established Chausson or Hymer motorhome dealers UK based is that you also know you are benefitting from the specialist knowledge they have built up in pursuit of their trade. Professional motorhome dealers Hampshire UK know the functionalities and technical specifications of each motorhome on their books inside out. With a dealer who really knows their stuff, you can outline what you and your family want from your motorhome now and in the future. They can then advise you accordingly on the best manufacturer and vehicle for the lifestyle you intend to have. Perhaps you’ll be exploring narrow country lanes in the UK or Europe. Maybe your family is growing and you need to know your investment will accommodate everyone comfortably, not only now but in future too. Wherever you plan to travel and with whom, a good trader can fully inform you of your options. More than that, opt for the best motorhome dealers Hampshire UK has to offer and no question goes unanswered. From how to fill up with fuel or change the Calor gas bottle, to the weight and dimensions of the vehicle so you don’t come unstuck with low bridges, good traders make sure you’re full informed. Premier Motorhomes is a prime example. We’ll give you full demonstrations of any vehicle you’re thinking of buying and ensure you’re safe and roadworthy before you leave our showroom. We also supply sales aftercare and are always at the end of the phone on 01243 210030 for any queries you have at a later date. See our website today for more details: https://premiermotorhomes.uk.